A driver in Springfield, Massachusetts was hurt in a collision with a tractor trailer on Saturday morning. The accident took place on Interstate 91 at exit 9B just after midnight. Police say that the driver was operating a Nissan Altima when they collided with the tractor trailer. Police and medical personnel rushed to the scene to tend to the injured driver and to investigate the crash scene. Massachusetts State Police Trooper Daoust indicated that the driver was taken to Baystate Medical Center due to injuries sustained in the crash. Trooper Daoust has confirmed that the injuries are not life-threatening. The truck driver was not injured. State Police cleared the roadway by around 2:00 am. The accident is still under investigation and there is no word on whether charges will be filed as a result of the crash. No other details were released. A crash with a tractor trailer can certainly be a very devastating event. A tractor trailer is a much heavier and more powerful machine than a passenger vehicle. Tractor trailers have longer stopping distances and are often unable to avoid sudden accidents due to immediate changes in traffic. A tractor trailer may not have the capability to avoid a head-on collision with a wrong way driver. 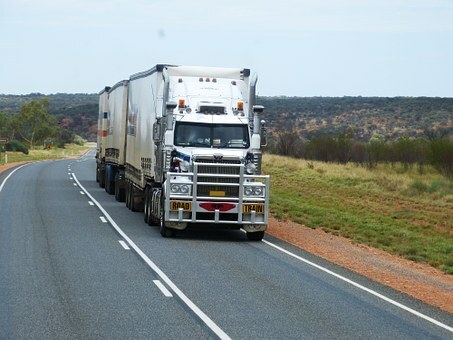 Tractor trailer drivers may also be negligent in causing highway collisions. A commercial truck driver may be inattentive, impaired or drowsy because they are operating on too little sleep. Any of these factors make driving a large vehicle very hazardous and increase the risk to other drivers on the road. If the tractor trailer driver is negligent in causing a crash, the injured victim may recover for their injuries. At the Law Offices of Jeffrey S. Glassman, we have extensive experience in accidents involving tractor trailers and other commercial vehicles. These cases are often high stakes with serious injuries and even death. We understand that a tractor trailer accident can alter your life forever and we treat every case as seriously as if it were our own. If you or a loved has been hurt in a tractor trailer crash, please give us a call at 617-367-2900 today. We offer free consultations to all accident victims and we would love to hear from you.